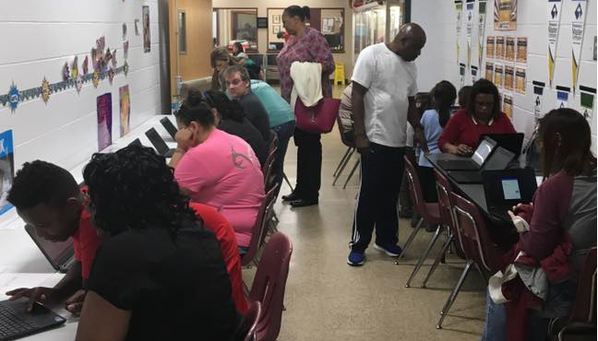 After reviewing program data and establishing program improvement goals, the 21st CCLC team in Idabel added a Family Engagement Specialist to their team. This position is responsible for targeting students in need of service, working with families to encourage participation in the 21st CCLC program and attendance at school, identifying family interests and needs, and planning opportunities for adult family members to participate in their child's learning. 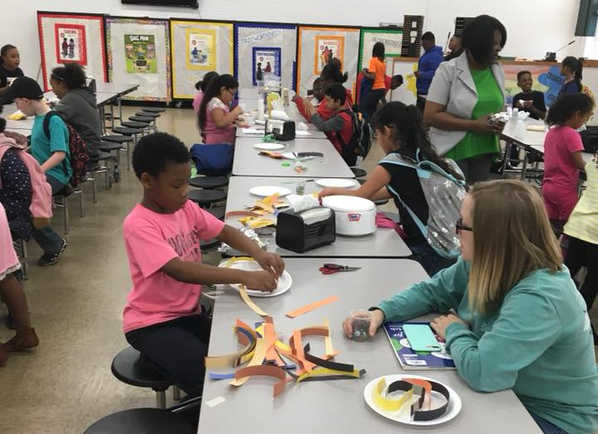 On March 29th, Idabel had great success with a family night! There were STEM stations, crafts, food and families were encouraged to complete the evaluation surveys on computers right at the event.